Sterling, VA (October 1, 2007) ... Gammaflux LP, the world's leading supplier of hot runner temperature control systems, has announced a new 5-year warranty program on its LEC and TTC product lines. The new warranty began on September 1, 2007 for all LEC and TTC models sold after that date. "To our knowledge, the longest hot runner temperature controller warranties in the industry are three years," said Mike Brostedt, Gammaflux Director of Market Development. "We are pleased to now offer this best-in-industry 5-year warranty to our customers." The new 5-year warranty applies to all LEC models, which are designed for smaller hot runner system applications, from 2 to 24 zones. The LEC is offered with 2, 6 and 12 zone enclosures and features a modular design for simple control card removal, addition or replacement. 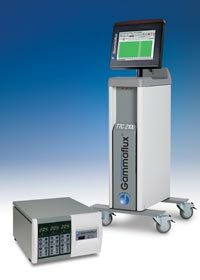 The Gammaflux TTC family of hot runner temperature control systems provides state-of-the-art performance for molding applications up to 640 zones. The new 5-year warranty also applies to these models but excludes the touchscreen interface, which will continue to have a 2-year warranty. By introducing the new 5-year warranty, Gammaflux continues to reduce the overall cost of ownership of its products, according to Brostedt. "To stay competitive, today's molders need the best value for their dollar, and we feel we're providing that now more than ever," he said. "It is not just our technology but our service and customer support that set us apart. This warranty gives our customers even more confidence that we're there to support them for the long term."